The Levitt AMP Music Series artist lineups have been rolling in over the past couple weeks! 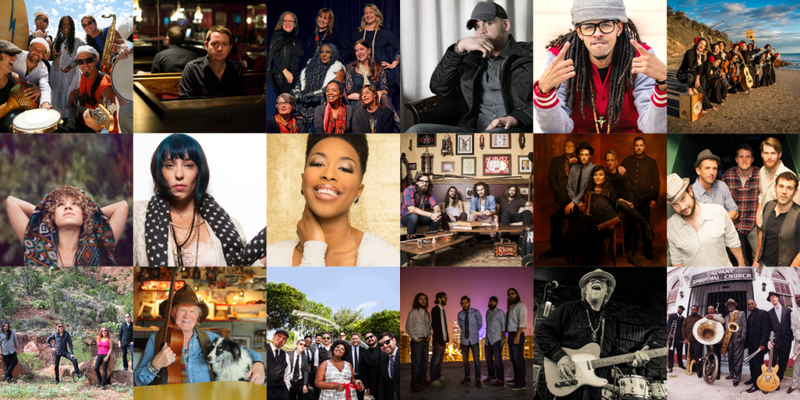 Celebrate #MusicMonday with the first Levitt AMP playlist of 2016, featuring some of the many artists who’ll be taking the stage during this year’s Levitt AMP Music Series. Today’s playlist includes artists who’ll be performing in Denison, Greensboro, Jacksonville, New Albany, Sheboygan and Carson City! Stay tuned for upcoming Levitt AMP lineup announcements, artist features, playlists and more! This Sunday at 7pm, The Gate City Divas kick off the 2016 Levitt AMP Music Series in Greensboro, N.C. Find out more about this performance here.